There doesn’t seem to be much danger of ABC‘s Rookie Blue being cancelled any time soon. The show is produced in Canada and the fifth season has 22 episodes (instead of the usual 13). However, they’re being split into two parts — half will air this summer while the rest will run at a later date. This kind of move often spells the end for a series. Will there be a sixth season? Stay tuned. Rookie Blue continues to follow a group of newbie cops as they work at the fictional 15 Division. The cast includes Missy Peregrym, Gregory Smith, Ben Bass, Travis Milne, Enuka Okuma, Charlotte Sullivan, Peter Mooney, Priscilla Faia, Matt Gordon, Rachel Ancheril, Melanie Nicholls-King, Adam MacDonald, Aliyah O’Brien, Oliver Becker, and Matt Murray. Final season averages: 0.9 rating in the 18-49 demographic with 5.21 million total viewers. The 11 episodes of season six are expected to air next summer but ABC hasn’t confirmed that. Last year comparison: The fourth season of Rookie Blue averaged a 1.1 rating in the 18-49 demographic with 5.08 million total viewers. What do you think? 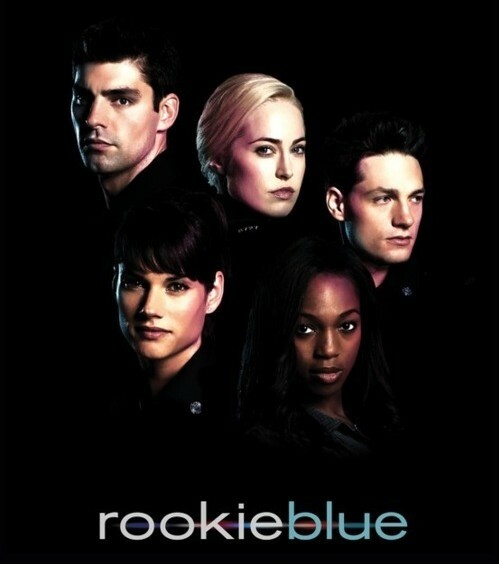 Do you like Rookie Blue TV series? Should season five be the end? I am very sorry that Rookie Blue is cancelled. Have really enjoyed the series very much. Hope they change their minds. When will 2016 season begin? Rookie Blue was the best show ever and really miss it. I was elated to hear that Ben and Missy are both up for the best actors awards on March 13th. Love this show. Can’t wait to see what happens each week. Please do not take this off the air. Great show. New viewer of the re-runs and LOVE the show. Can’t wait to see the rest of the re-runs and additional seasons to come. Hopefully, a LOT of new seasons to come. I am a new viewer of Rookie blue and am very disappointed that I missed so much. I am sick of all the cheesy shows on now. Everything is being replaced by reality shows that have very little to do with reality; comedy shows that aren’t funny; and low creativity shows that should have been tossed before cast selection. Bring along a decent show with talent and it only runs for a few seasons. Please bring it back!!!!!!!!!! I love the show very much. Please please keep on with the show for many seasons! I’m 62 and love it! Keep the reruns coming. Seems like they stopped. split the time and it’s very frustrating. duplicated. Very good show for Law Enforcement people too.